Sphere of Annihilation: Suspense & Decision Magazine issue 17 is out, and I have an article in it! Suspense & Decision Magazine issue 17 is out, and I have an article in it! Suspense & Decision is a free web-published magazine dedicated to play-by-mail gaming. Play-by-mail is an old school style of gaming. Flying Buffalo, publishers of Tunnels & Trolls, started out as a play-by-mail company and is still running games today. If you want to gain some insight into the current state of the play-by-mail hobby, Suspense and Decision is a great magazine to read. 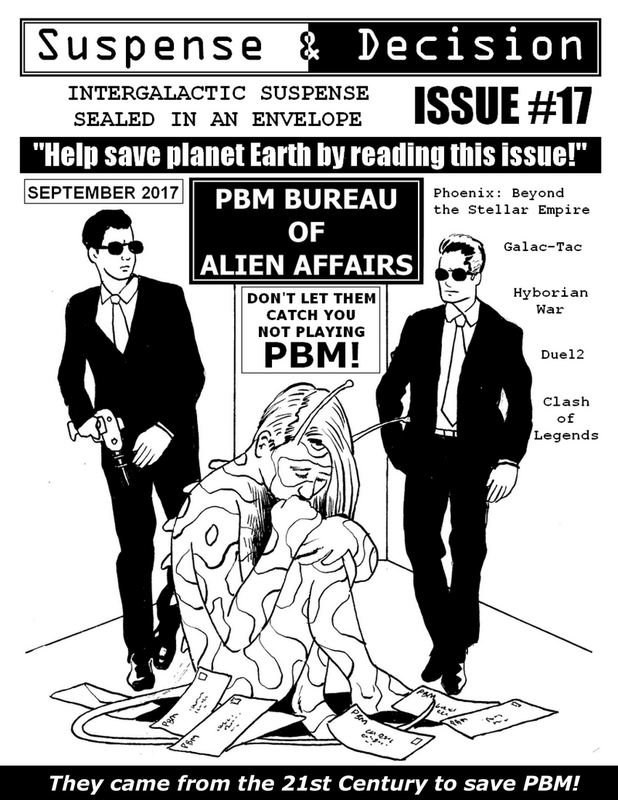 Issue 17 is out and I have an article in it. 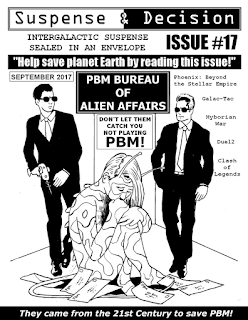 It is a review of Duel2, a pbm game run by Reality, Inc.
You can download the latest issue, or any of the back issues, from suspense-and-decision.com. You can read my review of Duel2, which is a great game for people who have never tried play-by-mail. Personally, I am intrigued by the ad on page 27 for something called Dark Commonwealth. It appears to be a pbm role-playing game in supernatural Olde England. Go grab a copy. It's free!